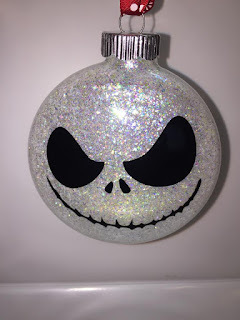 We now have our custom ornaments listed in our Etsy shop! I have designed some to give you ideas, but feel free to message me about creating your own! Pick your glitter color and pick your Vinyl color!! We also have car decals, custom Halloween Buckets, and greeting cards available for purchase! The holidays are coming up and we want to raise as much money as we can to make sure Hailey has the best Holidays possible! We enjoy working on these things together!! We can also do custom shirts! Just message me your ideas and we can bring them to a shirt! 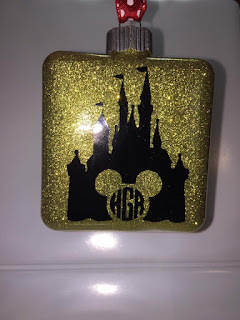 Check out our Etsy Shop!! Tsum Tsum vinyl decals are now listed in our shop!! Just $2 each includes shipping!! Lots to choose from or if there is one you want but don't see let me know. 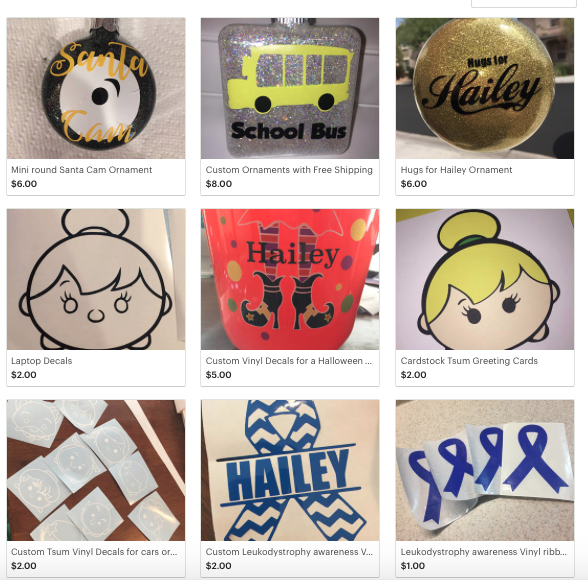 These can be stuck on Car windows, laptops, cell phone cases, etc... Help support our shop and fun family activities for Hailey! We want to sell enough to go to the movies (Hailey can't wait for Coco) or Dave and Busters, or a trip to the pumpkin festival! Everything goes to Hailey! Hugs for Hailey Ornaments are Coming Soon!!! 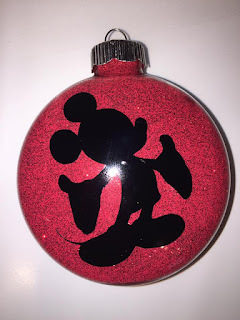 We had a lot of fun decorating our own Hugs for Hailey ornaments and when I asked Hailey what other ornaments she wanted for our tree the ones she picked were all Disney related. Go figure, my Disney girl! It's not too early to start thinking about Christmas is it? 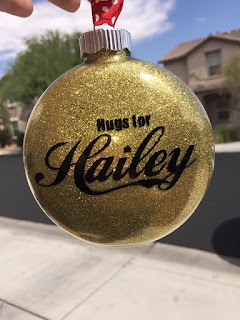 We will be posting our Hugs for Hailey ornaments in our Etsy shop probably starting in October. Be sure to keep an eye out. If you have any ideas you'd be interested in purchasing from us please let us know. Custom orders are a lot of fun! Here are some of the ideas Hailey and I came up with for our tree! One of our favorite characters is Jack Skellington! 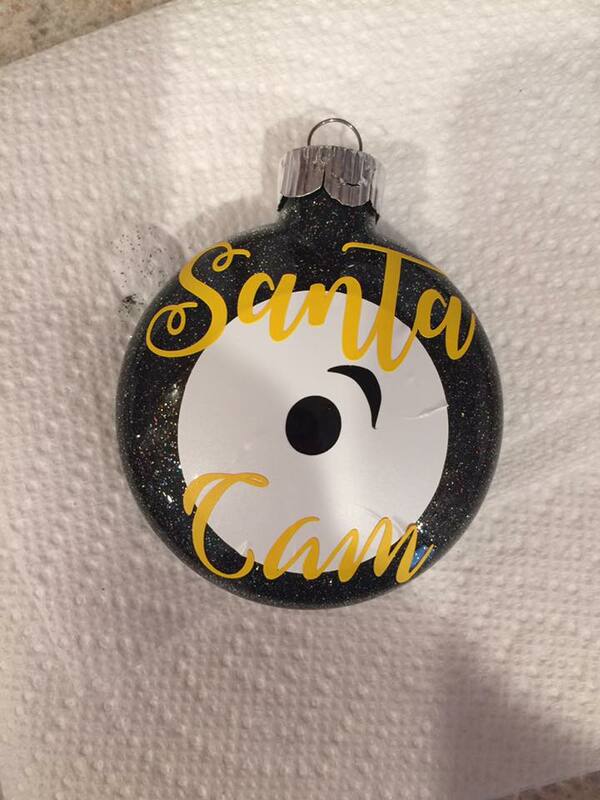 I love this idea of a Santa Cam to make sure that Hailey stays on the nice list! Santa is watching! Who doesn't want the Mouse himself on the tree! ?